Whether you’re arriving to Sofia by air, road or rail, the first thing that catches your eye as you enter the Sofia Valley is likely to be Vitosha, Sofia’s unmistakable natural landmark. Rising to 2290 metres above sea level and well over a mile above the valley floor, the dome-shaped Vitosha is Bulgaria’s fourth-highest mountain massif. And due to its proximity to the capital city and the accessible Aleko ski area, the mountain is also the locals’ favourite weekend retreat in all four seasons. Do thickly forested slopes, subalpine plateaus, unique stone rivers, thundering waterfalls, secluded monasteries or snow-capped summits sound like a day well spent to you? 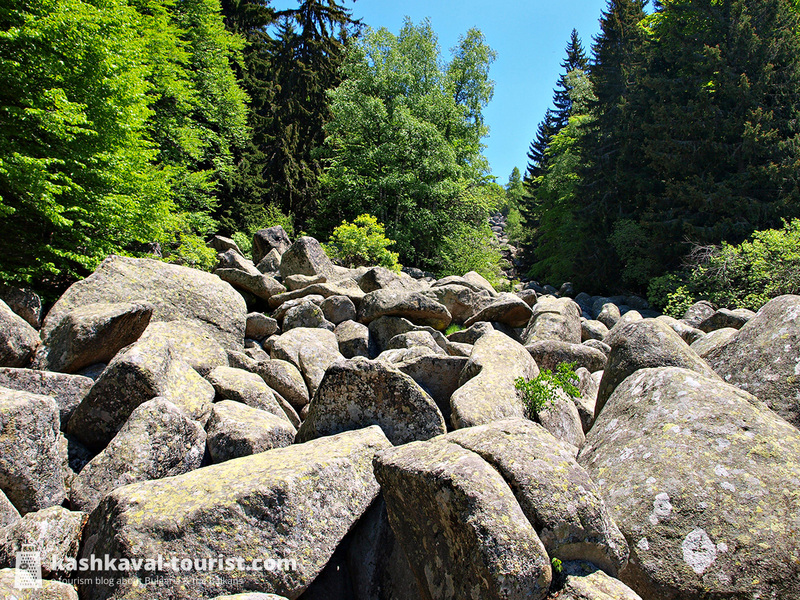 Well then, prepare to discover kashkaval tourist’s 7 scenic hikes in Vitosha, Sofia’s own mountain! Though it might sound like a challenge with its respectable height of 2290 metres and its reputation for strong winds, Vitosha’s highpoint Cherni Vrah is in fact a very accessible summit in any season. 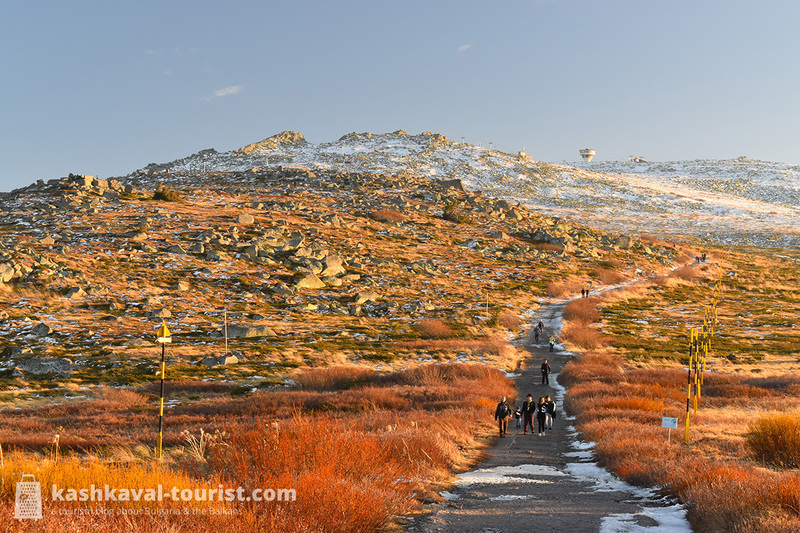 Because of its closeness to Sofia and the multitude of transport links and trails, Cherni Vrah is by far the most climbed mountain peak in Bulgaria, with tens of thousands of visitors each year. That the meteorological station’s teahouse on the summit reliably serves warm bean soup and cold beer might also be contributing to its popularity! Cherni Vrah (Черни връх, “Black Peak”) stands only a few hundred metres above the high-altitude plateaus and the tree line, making the hike from the slightly wonky Dragalevtsi chairlift’s top station (Goli Vrah) a literal walk in the park in good weather. The ascent from the Aleko ski area is only a tad more challenging. However, the low difficulty of the trails doesn’t in any way impact the grandeur of the panoramas, whether you’re looking down towards Sofia or around to the awe-inspiring ridges of Rila, Pirin or the Balkan Mountains. Ever heard of stone rivers? Imagine a stream-like accumulation of thousands of massive boulders, extending for kilometres down the mountain slope. Thanks to Vitosha’s extraordinary geological history, these unique landforms from the last Ice Age have become something of a signature for Sofia’s nearby mountain! And though stone rivers can be found in a multitude of locations in the higher parts of Vitosha, the most famous (and largest) of them ought to be the Golden Bridges. This particular stone river is more than two kilometres long and its poetic name supposedly comes from the yellowish lichen that grows on the boulders. In summer, the Golden Bridges (Златните мостове, Zlatnite mostove) are a beloved location for picnics and sunbathing, with kids having the time of their life hopping from boulder to boulder while the parents are chatting and sipping a beer nearby. Pirin may only be Bulgaria’s second-highest mountain range, but it easily competes with the national champion Rila in terms of scenic Alpine summits, crystal-clear glacial lakes and unbelievable high-altitude hiking trails. A UNESCO World Heritage Site and one of Bulgaria’s three national parks, Pirin’s highest marble and granite peaks reach over 2,900 metres in height in Bulgaria’s southwest corner. 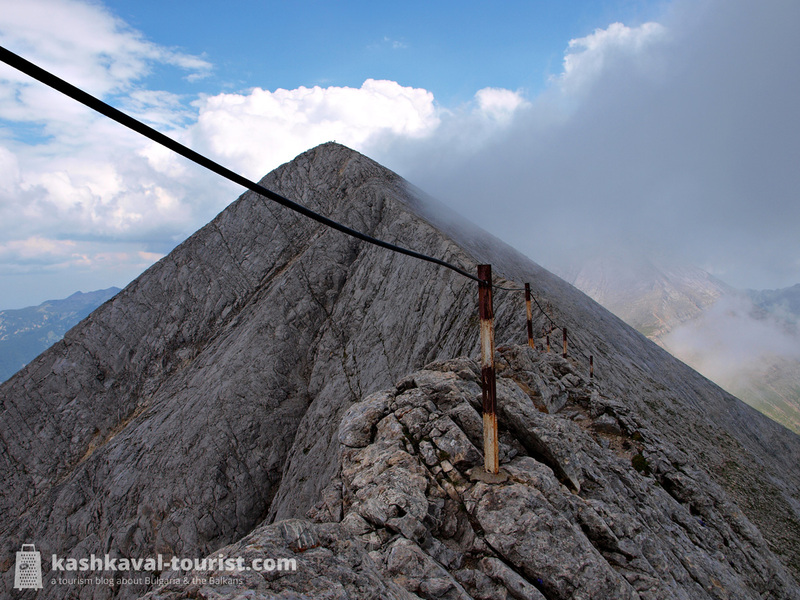 Its stunning landscapes, rich flora and fauna and diverse trails of any difficulty have consistently placed it among the Balkans’ most amazing hiking experiences. From a super-narrow ridge that you cross at 2,800 metres above the abyss to Bulgaria’s oldest evergreen tree, kashkaval tourist presents 8 breathtaking places in the Pirin Mountains! Situated between Pirin’s second and third-highest peaks, Kutelo and Banski Suhodol, Koncheto is perhaps Bulgaria’s most notorious mountain ridge. And with good reason, as crossing it from side to side is a challenge for anyone with a fear of heights! At times just half a metre wide, Koncheto (Кончето, “The Foal“) has that name because reportedly, inexperienced tourists would rather cross it by riding it than walking on top of it. Koncheto is about 400 metres long and it has an abyss on each side, dropping almost vertically towards the Banski Suhodol cirque and glacieret and at a 70° angle towards the Vlahina River valley. For the ultimate high-altitude experience and an amazing sunrise, you can spend the night at the tiny Koncheto shelter at the ridge’s northwestern end. 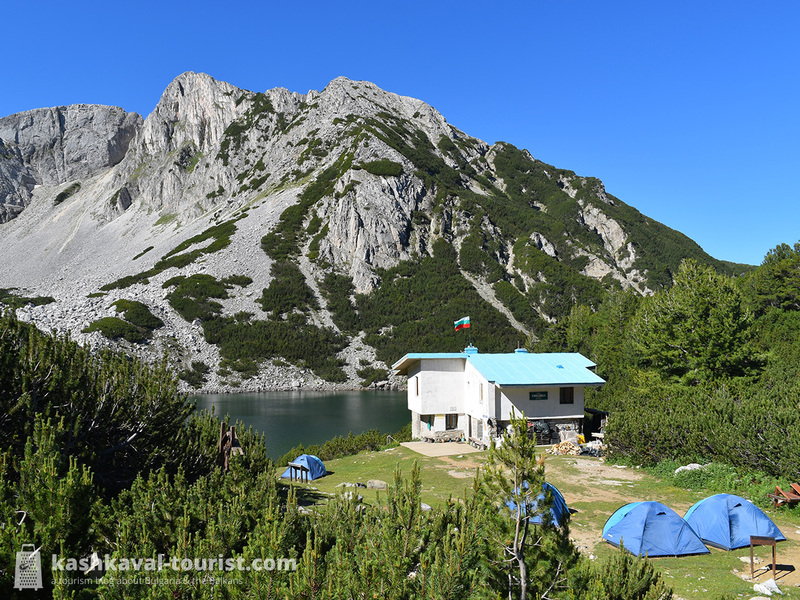 Regarded as one of Bulgaria’s most beautiful summits, Sinanitsa (Синаница) lies in Pirin’s western parts, above a stunning little glacial lake and the cozy Sinanitsa Hut. Sinanitsa’s unique appearance owes much to its characteristic split shape and its vertical walls of pink-grey marble. Ascending Sinanitsa is a challenging one-hour hike from the hut at its foot, but the breathtaking views of Vihren, Koncheto and Kamenitsa from the top and the sheer pleasure and pride of conquering this marble giant is worth all the effort!